Pain à l'Ancienne Focaccia ~ I Can Do That! Artisan Breads Every Day. The recipe is simple to prepare; the dough is mixed the day before with minimal handling and baked the next day or whenever it's convenient. 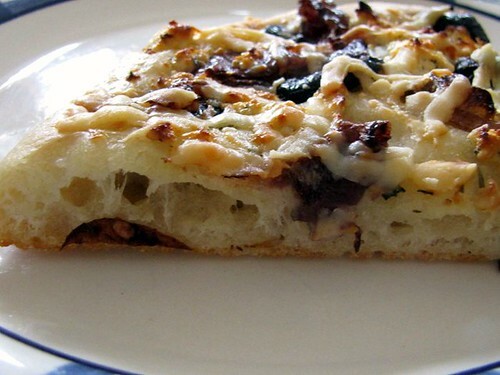 The focaccia has large irregular air pockets, is chewy and very flavorful. 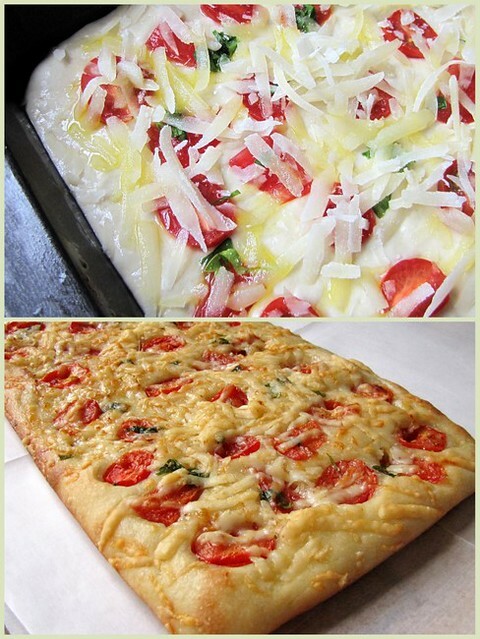 I prefer focaccia with very little topping, sometimes with just Parmesan cheese and sea salt. In a standing mixer with paddle attachment, combine flour, salt, yeast, and water. Mix on lowest speed for 1 minute. Let the coarse wet dough rest for 5 minutes. 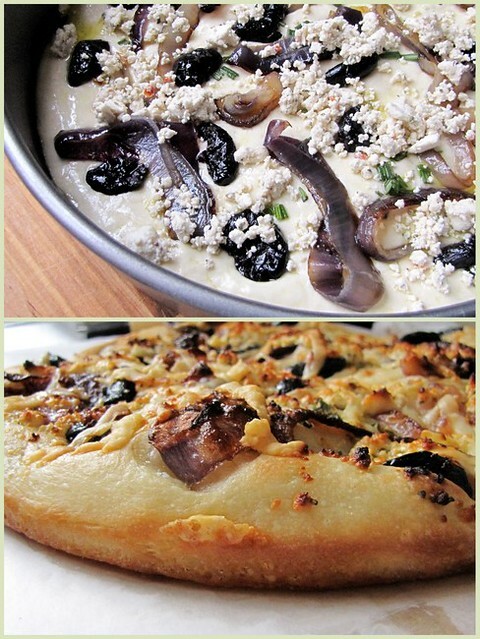 Drizzle 1 tablespoon olive oil on the dough, then resume mixing on medium-low for 1 minute. The dough should be smoother but will still be very soft, sticky, and wet. Use a wet spatula to transfer the dough to a lightly oiled container. Cover with plastic wrap and let the dough rest for 10 minutes. Transfer the dough to a lightly oiled surface. With wet or oiled hands stretch out the dough from all sides, one at a time and fold over to the center. Flip the dough over and tuck it into a ball. The dough should be firmer but still very soft and fragile. Place the dough back into the bowl, cover with plastic, and leave at room temperature for 10 minutes. Repeat the stretch and fold process 3 more times. Divide the dough into four 8-ounce pieces. Drizzle 1 tablespoon olive oil on the parchment-lined baking pans. Place one dough on each pan; drizzle 1 teaspoon or more olive oil on the dough ball. Using your fingertips, dimple the dough all over and spread it as much as it will allow. When the dough starts to spring back, cover the pans tightly with plastic wrap and refrigerate immediately. The dough will keep in the refrigerator for up to 4 days. On baking day, remove pans from refrigerator. Drizzle all over with 1 teaspoon olive oil and dimple the surface until the dough has completely covered the pan. If the dough springs back, let it rest for 20 minutes and resume dimpling. Cover with plastic wrap and let rise in turned-off oven with the light on, for 1 and a half hours. Preheat oven to 500°F. Brush with herb oil, add toppings, and bake for 10 to 12 minutes or until the top is golden brown. The focaccia looks wonderful. This bread is one I haven't tried yet. hi what pan size did you use on the rectangular shape, baking time and temp?? The rectangular pan is 11 x 7 inches; they're thinner which I prefer. Baking time and temperature are indicated on the last part of instructions.